KIT Capital manages a US$100+ million real estate investment portfolio with a focus on high-end hospitality. Our focus is on markets where perceived risk is greater than fundamental risk, and where positive, medium-term macro changes can lead to outsized returns. To date, KIT Capital has invested in and developed real estate projects in the U.S., Colombia, Czech Republic, Dubai, France, Iraq and Turkey. 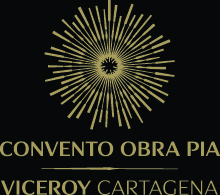 View the complete Viceroy Cartagena press releaseViceroy Hotel Group and KIT Capital are partners in the redevelopment of Obra Pía, a UNESCO World Heritage site located within the exclusive Old City in Cartagena, Colombia. Upon completion in early 2016, Convento Obra Pía, Viceroy Cartagena, the hotel group’s first branded property in South America, will boast 102 luxury guest rooms and lush public spaces anchored within a majestic. restored 17th-century convent, as well as approximately 15 cabanas at an affiliated site in the Rosario Islands, off the coast of Cartagena. The US$50+ million project is being led by KIT Capital.The Viceroy Cartagena represents an important milestone for both the city of Cartagena and for the country of Colombia. The KIT Capital led project is the country’s first true ‘6-star’ hotel development–bringing a level of amenities and service heretofore unseen in Colombia. The Convento Obra Pía, Viceroy Cartagena also reflects the ascendance of the Getsemaní neighborhood within the Old City and the transformation of Cartagena into a tourist destination that can truly compete for the world’s most selective travelers.The Viceroy Cartagena is being designed by renowned colonial restoration architectural firm Barrera & Barrera; it will completely restore and preserve the structure and cultural heritage of the historic 17th century Obra Pía convent, while building in first-class modern amenities, including: a 275 square meter courtyard pool, state-of-the-art fitness center and spa with lounge café, second-floor signature restaurant and nightclub, breathtaking panoramic rooftop pool and bar with 360-degree views of Cartagena and its environs, and over 1,250 square meters of cross-functional event space.In all, the resort will offer over 400 restaurant seats and the most overall event space of any hotel property in the Old City, all within close proximity to the city’s world-class convention center and beautifully colorful Getsemaní neighborhood—replete with drinking dens, salsa clubs, and tapas bars carved out of 17th and 18th century facades. Given the Viceroy Cartagena’s frontage on Media Luna Street—Cartagena’s busiest nightlife thoroughfare—as well as Centennary Park, right across from the Cartagena Convention Center, the hotel expects to benefit from year-round, high-end tourist and business traffic.The Viceroy Cartagena will connect the core Obra Pía site with its island property through two, constantly running luxury yacht ferries from the Old City to the Rosario Islands. The resort will offer “country club” membership for up to 400 non-hotel guests—who will have full access to the urban hotel gym and spa along with the private beach club and large-format, Asian-themed spa at its island location.